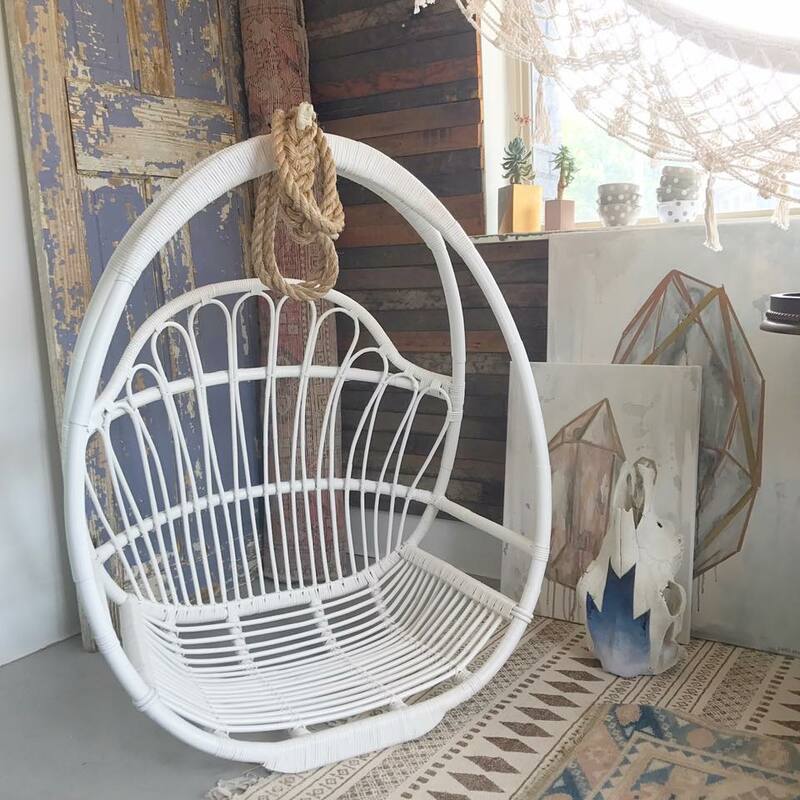 Earlier this year, we noticed a lot of home-design trend predictions pointing toward ‘70s decor broadly, and the returning popularity of hanging chairs, specifically. 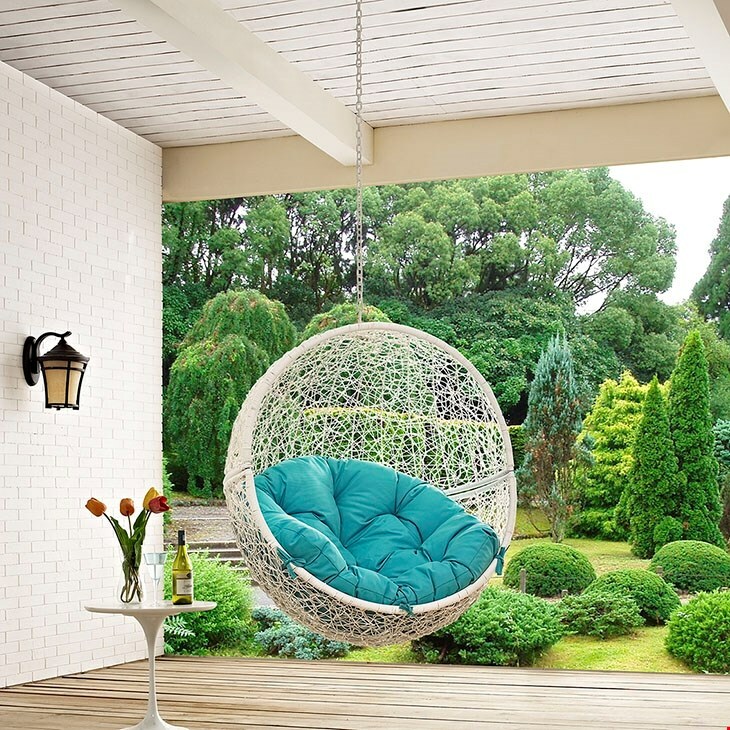 Although hanging-chair love has seemed to spring up a little more each year for the past five or so, in 2017, we think we do actually see ceiling-suspended seating springing back into prominence. Or, if not quite the major prominence it had in the ’60s and ’70s, at least a noticeable boom with adventurous homeowners. 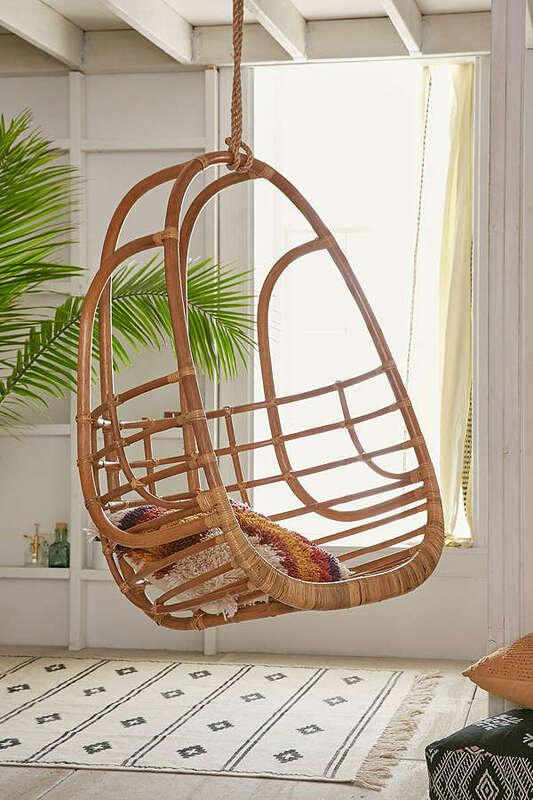 Not everyone finds hanging chairs appealing, but those of us who do can celebrate a little, since lately, you don’t need to scour vintage shops to find one for your place (unless you want to). New options with classic style are popping up all over the place. East Nashville home goods shop Apple & Oak (717 Porter Rd.) stocks consistently stylish furniture that really suits the neighborhood. 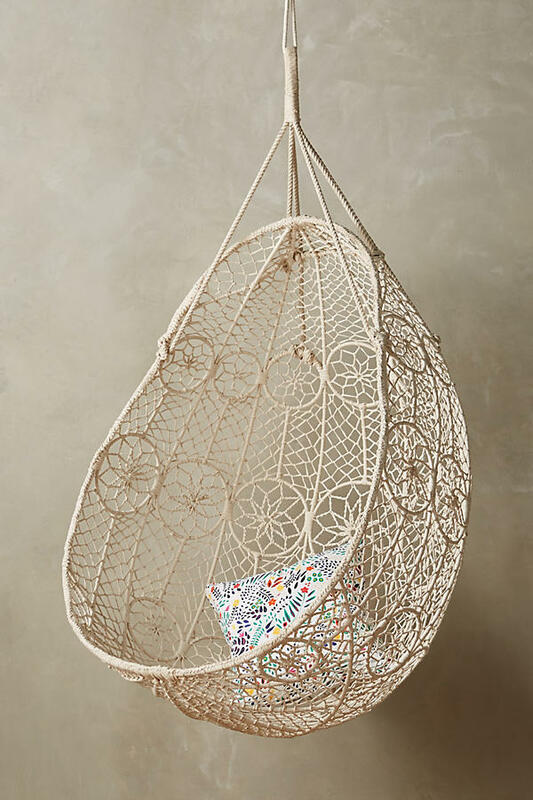 We particularly like this rattan/rope hanging chair, especially in white. 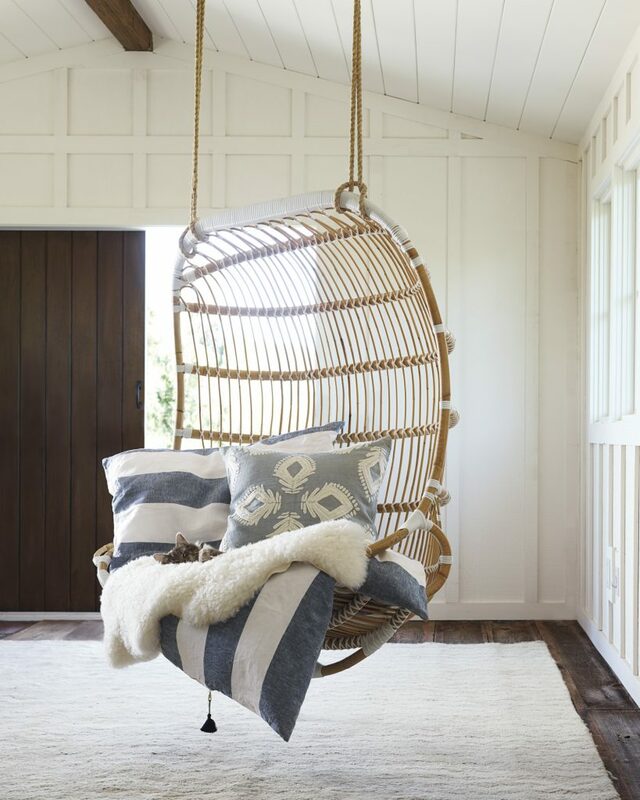 Set up for off-the-floor snuggling: This one from Serena & Lily is built to fit two, and the mix of natural rattan with white trim really pops. This CB2 pod is meant to be an outdoor piece, but with its egg-y simplicity and scoop-shaped, cushioned seating area, it’d be just as comfortable and cool inside. This one brings back memories of making glue/yarn balloons, in a good way. Probably the coolest detail: It comes in an array of color mixes, from this white/turquoise to deep gray/bright orange, so you can really go bold if you want. If you want something a little less round, a little more of a modern twist on the retro look, there’s this from LexMod too. 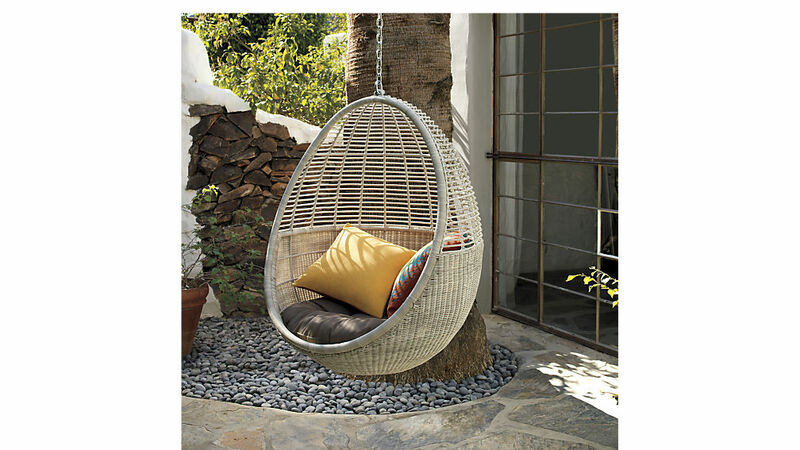 The shape and the dark gray synthetic rattan/white cushion are unique, and striking. 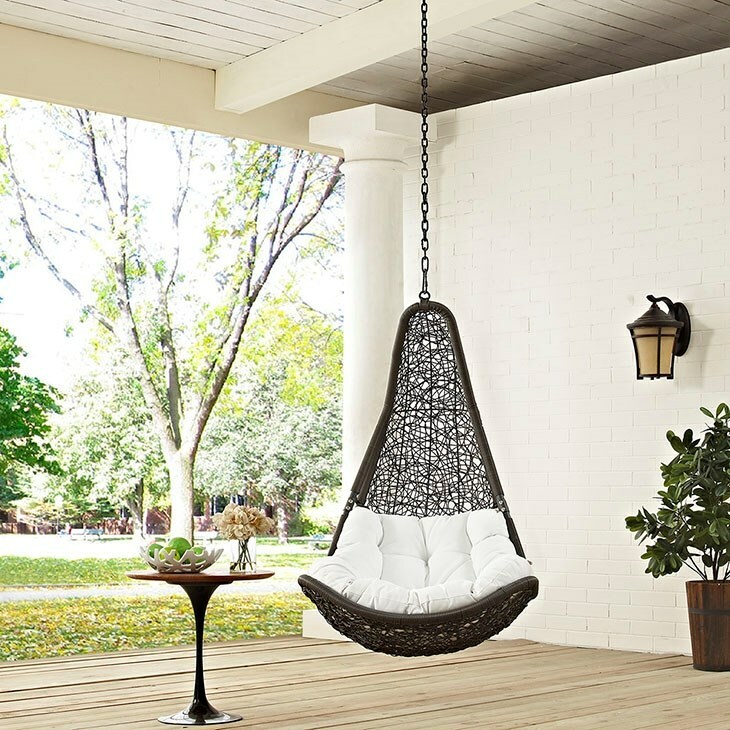 What’s your feeling on hanging chairs — still passé, back to stay or something in between? Weigh in in the comments if you’re loving/hating the idea of these becoming popular again. If you’re searching for a new Nashville home to flex your own style inspiration in, we’d love to help. Give ACRE a call or send us an email here, or fill out this quick form to get your Nashville home-buying process started.